In the fall of 2016, in the midst of one of the worst droughts in the WNC mountains in recent years, wildfires spread throughout the area, burning thousands of acres of the Nantahala National Forest. One of those fires, the Camp Branch Wildfire, sped up the eastern facing side of Wayah Bald, cresting the mountain with an incredible amount of destruction, in what was learned was a flash fire. 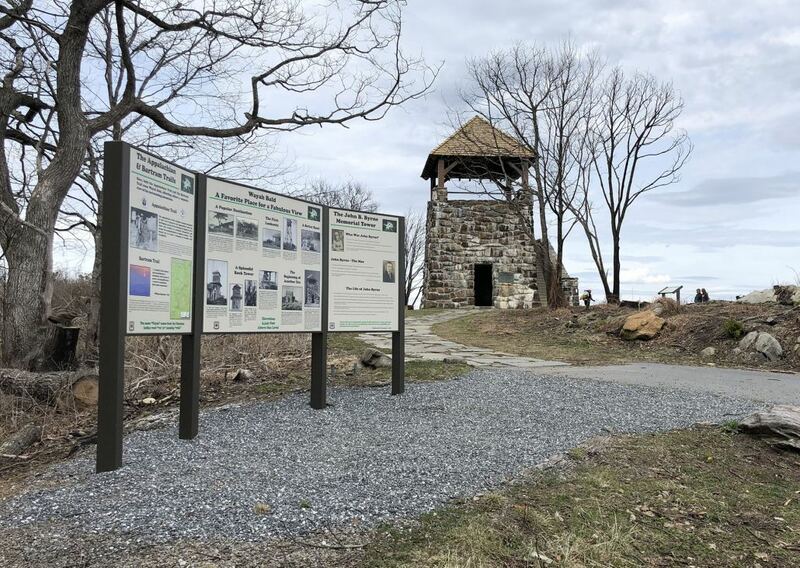 The fire came up the top of Wayah Bald, engulfing the tower and burning off the wooden roof structure and damaging the upper concrete viewing platform. Visitors reading the newly restored information placards. 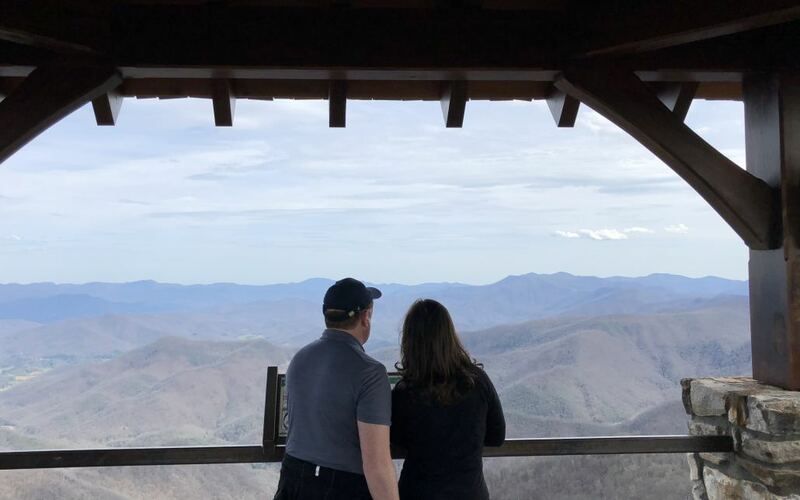 To the locals, Wayah Bald Tower is a place to get out of the lower elevations and to the mile high views in a relatively short amount of time. Generations of families have come to enjoy the nearly 360 degree view that presents itself, as well as it being the perfect spot to see the sun rise, with the lower observation area wide open to the east. Hikers of the world famous Appalachian Trail, as well as the Bartram Trail, converge at Wayah Bald, as both trails come together at the start of the paved path leading up to the tower from the parking area. The lower section of the tower has been an oft used shelter for hikers since it was transformed from its original purpose as a National Forest Fire Tower to the landmark it is today. 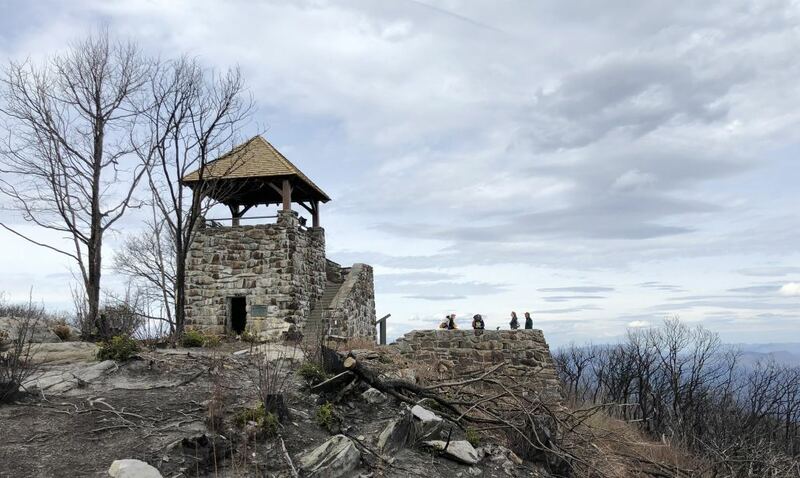 Thanks to the efforts of Williams Construction & Cabinetry Incorporated, Jeff Johnson Timber Frames, the Nantahala Hiking Club, and many other volunteers and Forest Service personnel, the tower has been restored to an even better version of itself pre-wildfire. 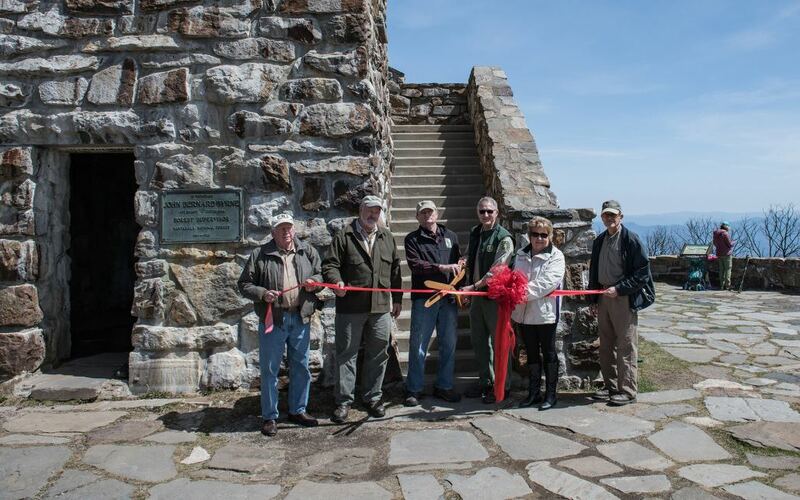 With the Ribbon Cutting Ceremony held on April 5th, 2018, Mike Wiklins, Nantahala National Forest District Manager, officially reopened the tower to the public. The full ribbon cutting ceremony and dedication video is linked here on our YouTube Channel.